VietNamNet Bridge – According to Bloomberg, Vietnam accounted for approximately 19.1% of $227 billion of the total value of trade between the EU and the member countries of the Association of Southeast Asian Nations (ASEAN) in 2015, compared with 15.8% in 2014. “Vietnam is one of the growing markets and we’ve seen a very positive development with our trade relationship with that country. That growth coupled with the finalization of the free trade pact points to a dynamic trade relationship in the future,” Michael Pulch, EU ambassador to Singapore said on June 15. The sign of the superiority of Vietnam in trade is growing. In 2014, Vietnam passed its neighboring countries to become the largest exporter to the US, more than the "traditional workshops" like Thailand and Malaysia. 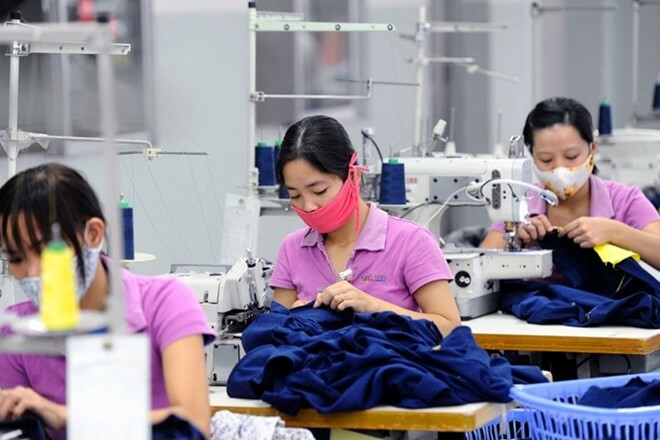 Vietnam took advantage of the trend of moving manufacturing operations in Asia in the context of rising labor costs in China to attract investment from corporations such as Samsung Electronics. Although trade between the EU and Singapore, which is still the EU's largest partner in Southeast Asia, increased last year, its market share in the total value of trade decreased from 25.1% to 24.1%. Malaysia, Thailand and Indonesia also lost their market share to Vietnam. Currently Vietnam is the second country in the ASEAN signing a free trade agreement with the EU. Telephone, electronic products, footwear, clothes and coffee are its main exports to the EU. The total trade turnover between the EU and ASEAN increased by 12% last year. According to the EU data, trade turnover between China and the EU rose to $520.8 billion in 2015, more than double that of ASEAN. EU aims at Vietnam and Singapore in a business initiative to expose small and medium-sized companies in Europe to opportunities in Southeast Asia. The EU will support the promotion of meetings between companies in the two regions in a variety of industries - from water, food to other beverages.